We hope that those we leave behind will care enough about us and what we would have wanted for our beloved companion animals to take them in and give them a loving home. Some families will do the right thing, but many others surrender their deceased family member's animals to high-kill shelters or even have them euthanized. It is the responsibility of all animal guardians to provide for their animals in the event of their death or serious disability. But be aware that the law sees an animal as a piece of personal property. Therefore, a companion animal cannot inherit in a will. For the same reason, you cannot name an animal the direct beneficiary of your life insurance policy. Because of these restrictions, it is important that you make arrangements for the care of your companion before you die. If you have a trusted friend or family member that cares deeply about animals, you can name that person in your will, make them a beneficiary of your life insurance, or set aside monies in a payable-on-death savings account with the understanding that they are to use the funds for the care of your animal until its death. If you have considerable assets to set aside, a “pet trust” could be the better choice. The following questions and answers should help you decide if a trust is right for you and your animal. A pet trust is a legal technique that can be used to ensure that your companion animal receives proper care after you die or in the event of your disability. You (the “settlor”) set aside enough money or other property to a trusted person or bank (the “trustee”) that is under a duty to make arrangements for the proper care of your companion animal, according to your advance instructions. The trustee will deliver the animal to your designated caregiver (the “beneficiary”) and then use the property you transferred to the trust to pay for your companion’s expenses. There are two main types of pet trusts. The first is a “traditional pet trust,” and is effective in all states. You authorize the trustee to pay the beneficiary for the animal’s expenses, as long as the beneficiary takes proper care of your companion in accordance with your wishes. The second type of pet trust is a “statutory pet trust” and is authorized in over 45 states. A statutory pet trust is a basic plan that does not require the animal guardian to make as many decisions regarding the terms of the trust. The state law “fills in the gaps”, making a simple provision in a will such as, “I leave $10,000 in trust for the care of my dog, Pip” effective. Which type of pet trust is “better”? Many animal guardians will prefer the traditional pet trust because it provides them more control over the animal’s care. For example, you specify who manages the property (the trustee), the animal’s caregiver (the beneficiary), what type of expenses relating to the animal the trustee will pay, the type of care the animal will receive, what happens if the beneficiary can no longer care for the animal, and what arrangements are to be made for the animal after the companion dies; i.e. burial or cremation, disposition of the body or ashes, memorials, etc. What if my state does not have a special law authorizing pet trusts? If your state does not have a pet trust statute, you may still create a traditional pet trust. When is a pet trust created? You may create a pet trust while you are still alive. This is called an “inter vivos” or “living” trust. Or, by including the trust provisions in your will, a “testamentary” trust will be created when you die. Which is better – an inter vivos or testamentary pet trust? An inter vivos trust takes effect immediately and thus will already be functioning when you die or become disabled. This avoids delay between your death and the property being made available for the animal’s care. However, an inter vivos trust can be costly. There are attorney fees when the trust is created and administration fees after that. A testamentary trust is the less expensive option, because the trust does not take effect until you die and your will is probated (declared valid by a court). However, there may not be funds available to care for your animal during the gap between when you die and when your will is probated. Probate takes time. The estate cannot be closed and funds distributed until a sufficient time has passed to allow any creditors to apply to the estate for payment of debts. And be aware that a testamentary trust will not protect your companion if you become disabled and are unable to care for your animal. A testamentary trust will only take effect after you die. What does it mean to “fund” your pet trust? The trustee will not be able to provide for your companion animal without funding. Funding means to transfer money or other property into your trust for the care of your companion. If you choose a testamentary trust, it would be in the animal’s best interest to place enough money in a bank account that is payable on death to the chosen guardian, with the understanding that the money will only be used for the care of the animal until the estate is settled. How much property do I need to fund my pet trust? There are many factors to consider in deciding how much money or other property to transfer to your pet trust. These factors include the type of animal, the animal’s life expectancy (especially important in cases of long-lived animals such as parrots), the standard of living you wish to provide for the animal, the need for veterinary treatment, including any out-of-the-ordinary expenses for special-needs animals, and whether the trustee is to be paid for his or her services. The size of your estate must also be considered. If your estate is relatively large, you could transfer sufficient property so the trustee could make payments primarily from the income and use the principal only for emergencies. On the other hand, if your estate is small, you may wish to transfer a lesser amount and anticipate that the trustee will supplement trust income with principal invasions as necessary. You should avoid transferring a large amount of money or other property to your pet trust. Such a gift might provoke contention among your heirs and cause them to contest the trust. If the court considers the amount of property left to the trust to be unreasonable, the court can reduce the amount at its discretion. When do I fund my pet trust? If you create an inter vivos pet trust, that is, a trust that takes effect while you are alive, you need to fund the trust at the time it is created. You may add additional funds to the trust at a later time or use the techniques discussed below. If you create a testamentary pet trust, that is, the trust is contained in your will and does not take effect until you die, then you need to fund the trust by a provision in your will or by using one of the techniques discussed below. How do I fund my pet trust? If you create your trust while you are alive, you need to transfer money or other property to the trustee. You need to be certain to document the transfer and follow the appropriate steps based on the type of property. For example, if you are transferring money, write a check which shows the payee as, “[name of trustee]”, trustee of the “[name of pet trust]”, “in trust” and then indicate on the memo line that the money is for “contribution to ‘[name of pet trust]’”. If you are transferring land, your attorney should prepare a deed naming the grantee with language such as “[name of trustee]”, in trust, under the terms of the “[name of pet trust]”. Pour Over: If you create your pet trust while you are alive, you may add property (a “pour over”) from your estate to the trust when you die. Life Insurance: You may fund both inter vivos and testamentary pet trusts by naming the trustee of the trust, in trust, as the beneficiary of a life insurance policy. This policy may be one you take out just to fund your pet trust or you may have a certain portion of an existing policy payable to your pet trust. This technique is particularly useful if you do not have or anticipate having sufficient property to transfer for your animal’s care. Life insurance “creates” property when you die which you may then use to fund your pet trust. Be sure to consult with your lawyer or life insurance agent about the correct way of naming the trustee of your pet trust as a beneficiary. Payable On Death Accounts, Annuities, Retirement Plans, and Other Contracts: You may have money in the bank, an annuity, a retirement plan, or other contractual arrangement that permits you to name a person to receive the property after you die. You may use these assets to fund both inter vivos and testamentary trusts by naming the trustee of your pet trust as the recipient of a designated portion or amount of these assets. Consult with your lawyer, banker, or broker about the correct way of naming the trustee of your pet trust as the recipient of these funds. How do I decide on the individual to name as my companion’s caregiver? Dedication to the rights and well-being of all animals. Willingness to assume the responsibilities associated with caring for your companion. Ability to provide a stable home for your companion. 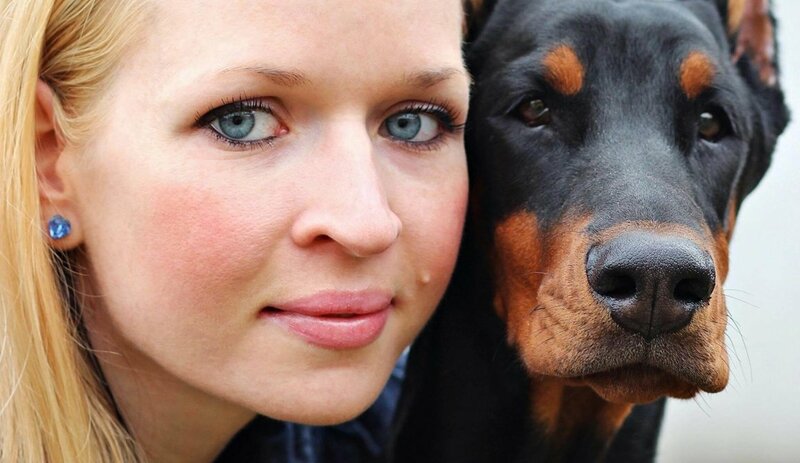 Harmonious relationship between the caregiver’s family members and your animal. Should I name alternate caregivers? You should name at least one, preferably two or three, alternate caregivers in case your first choice is unable or unwilling to serve as your companion’s caregiver. To avoid having your animal end up without a home, consider naming a sanctuary or no-kill shelter as your last choice. What types of instructions should I include in my pet trust regarding the care of my animal? Medical care, including preferred veterinarian and whether or not you had pet insurance. If you did, provide all policy information. Compensation, if any, for the caregiver. Method the caregiver must use to document expenditures for reimbursement. Whether the trust will pay for liability insurance in case the animal bites or otherwise injures someone. How the trustee is to monitor caregiver’s services. How to identify the animal (all nicknames and pet names). Whether or not the animal should be euthanized if determined by a veterinarian to be suffering without hope of recovery and disposition of the companion’s remains, e.g., burial or cremation, memorials, and where the body or ashes are to be interred. Who should be the trustee of my pet trust? The trustee needs to be an individual or corporation that you trust to manage your property prudently and make sure the beneficiary is doing a good job taking care of your animal. A family member or friend may be willing to take on these responsibilities at little or no cost. However, it may be a better choice to select a professional trustee or corporation, which has experience in managing trusts even though a trustee fee will need to be paid. Should I name alternate trustees? You should name at least one, preferable two or three, alternate trustees in case your first choice is unable or unwilling to serve as a trustee. Is it a good idea to check with the trustees before naming them in my pet trust? Serving as a trustee can be a potentially burdensome position with many responsibilities associated with it. You want to be certain that the person and all alternates you name as your trustees will be willing to do the job when the time comes. What happens to the property remaining in the trust when my companion animal dies? You should name a “remainder beneficiary,” that is, someone who will receive any remaining trust property after your animal dies. Note that it is not a good idea to name the caregiver or trustee because then the person has less of an incentive to keep your companion alive. Many animal guardians elect to have any remaining property pass to a charitable organization that assists the same type of animal that was covered by the trust. What happens if the trust runs out of property before my companion dies? If no property remains in the trust, the trustee will not be able to pay for your animal’s care. Perhaps the caregiver will continue to do so with his or her own funds. In case the caregiver is unwilling or unable to do so and none of the alternates you named are willing to take the animal without compensation, you should indicate in your pet trust the shelter or sanctuary that you would want your animal to go to. However, try to choose a caregiver and alternates that would not even consider this last resort option. How do I get a pet trust? You should consult with an attorney who specializes in estate planning and, if possible, who also has experience with pet trusts. You may find it helpful to give your attorney a copy of this article. Providing for a surviving companion is the last act of love that you can perform for him or her as part of the ongoing responsibility of companion animal guardianship. Making an informed choice will maximize your animal’s chances of living a long, healthy, happy life without you. Talk with your family to get a sense of how they feel about caring for your animal. Sometimes a friend is a better choice. Having the conversation can spare your companion trauma, abuse or even death. We are their protectors and their voice. Protect them and speak for them.